Well off the Whisky Boys set for an evening at Perth Theatre to watch Whisky Kisses- The Musical , which is the story set to music and song of the battle between two men for a famous and rare bottle (The Glenigma) of Whisky. The performance was being held in Perth Theatre, of which none of us had previously frequented, and were delighted with this quaint intimate theatre. We all thoroughly enjoyed this Scottish musical which was humorous and entertaining. The players were all very engaging and for Jim the highlight was when “Mary” played by Alyth McCormack sang a solo in Gaelic. In essence the story is about two collectors one from the East (Japan) and one from the West ( USA ) both chasing the last bottle of the coveted Glenigma. 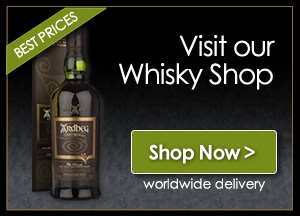 The auction for this last bottle must take place in Scotland and the two rivals are lured to the remote Highland Distillery from New York and from Tokyo to do battle for the bottle. Needless to say a bit of a “hoolie” takes place and before you know it the Wonderful Whisky has been enjoyed by one and all, but the two visitors have not only drank in a dram they have drank in the Spirit of Scotland, the views, the air, the people, the scents and before you know it they have both fallen in love with Scotland. The whole evening was most enjoyable and we would highly recommend that you get to see this musical. P.S. 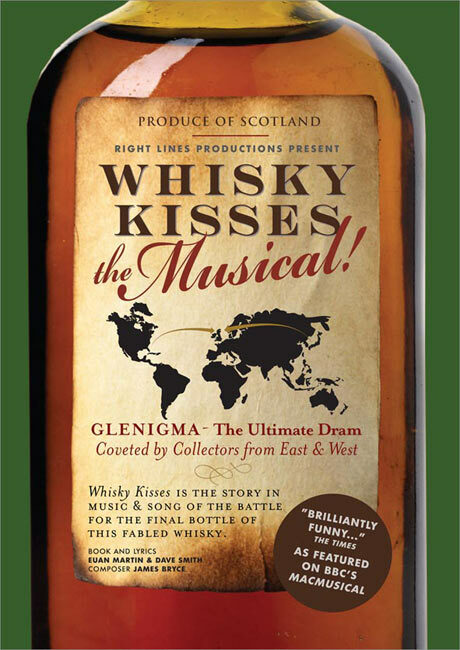 The only way The Whisky Boys found out about Kisses, is that Nicola picked up a flyer on our recent visit to the Glenkinchie Whisky Distillery.